It’s easy to assume that family history research involves only the census, vital records, immigration reports, military records, and old newspaper articles. We tend to forget that some of the sources we are familiar with about our own lives can also hold clues about our ancestors. School yearbooks are a great example of an underutilized genealogy source. You may be rolling your eyes at the suggestion a yearbook could be a genealogy source. However, students have been inscribing friend’s yearbooks with the standard “Have a great summer!” greeting for longer than you probably would guess. And while they are a source many are familiar with as a great way to remember one’s personal past, yearbooks can help genealogists fill holes in their ancestor’s younger days as well. The graduating class photograph that year was taken by George K. Warren. 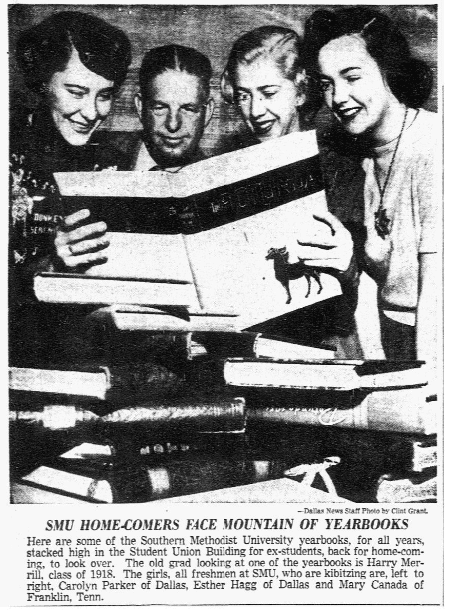 By searching local newspapers or archives where your ancestor went to school, you may be able to determine the first year yearbooks were published for that specific school. Genealogy Tip: The term “yearbook” means much more than just a yearly book published by a school. It’s important to remember that the term is generally defined as “a book published yearly as a report or summary of statistics or facts.”*** Searching in old newspapers, you will find mentions of all kinds of yearbooks for your ancestor’s organizations as well as schools. Yearbooks, like a census record, add to your knowledge of where an ancestor is during a specific place and time. There’s no doubt they also contain clues to age, possible familial relationships (especially when siblings or cousins attended the same school), interests, and personality. Yearbooks can include quotes from students, especially graduating seniors. They can also have photos of individuals, groups, and events. The type of information found in a yearbook can differ depending on the time period, area, and tradition of the school putting it together. And don’t forget – if your ancestor worked at a school, then there could be information about them in the yearbook as well. Yearbooks can be found online as well as part of library or historical society collections. Obviously, a school library might have copies, and one would need to inquire about the availability of those books for research. However, don’t neglect to check out the local public library which might also have copies of yearbooks for local schools as part of a local history collection. In some cases, yearbook collections can be found digitized and online via a collection associated with a library, historical society, or archive. Try searching on the name of the school and the keyword “yearbook” in your favorite search engine. Internet Archive has digitized yearbooks from various institutions including Yale University. To find yearbooks on the Internet Archive website: from their home page, click on the orange open book icon which is the text collection. You can then choose a collection like “American Libraries” and search on the keyword “yearbook,” “yearbooks,” or the name of a school. Currently there are more than 28,000 matches to those terms. Yearbooks can also be found on subscription websites that are part of a larger genealogy collection or one that focuses solely on yearbooks. Before deciding to subscribe to a website, look to see if they have yearbooks for the place and time period you are researching. Go Back to School – Search the Yearbooks! Yearbooks, like the census or any other type of names list, provide important clues that can be used in your family history research. Best of all, many are being digitized by schools or uploaded to digitized book websites. Try something new with your research and look for a school yearbook. 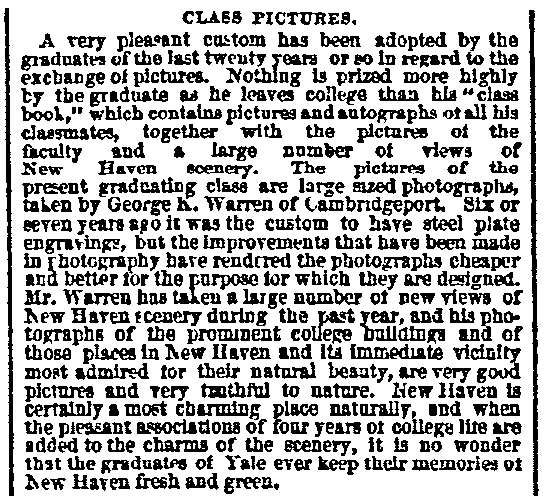 Genealogy Tip: What do newspapers have to do with school yearbooks? 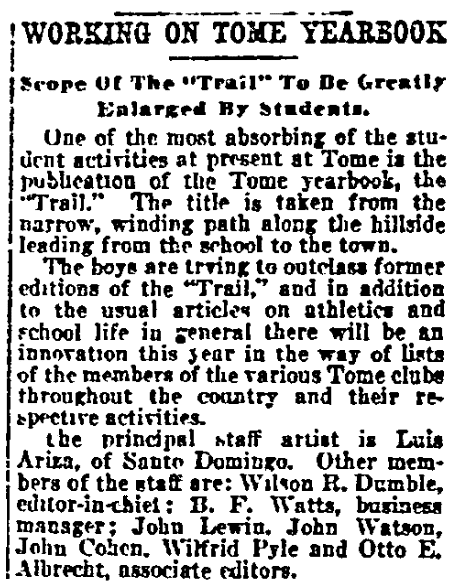 Don’t forget that the names of members of the yearbook committee, adult advisors, and other general interest stories around the school may be found in old newspapers. * “About,” Yale Banner Publications (http://www.yalebanner.com/about/: accessed 9 July 2017). ** “For All You Graduates: A History Of Yearbooks,” NPR (http://www.npr.org/sections/pictureshow/2010/06/03/127412786/yearbooks : 9 July 2017). *** “Yearbook,” Merriam-Webster (https://www.merriam-webster.com/dictionary/yearbook: accessed 9 July 2017). August Update: GenealogyBank Just Added New Content for 88 Titles!